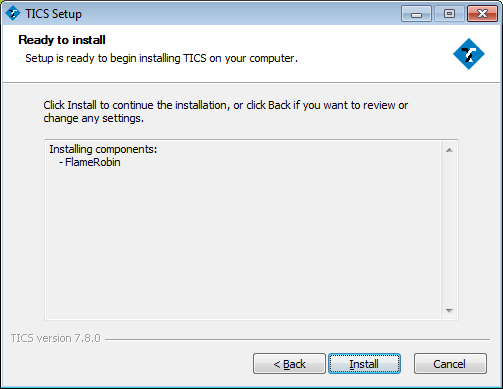 For manual inspection for Firebird databases in case of problems, TICS ships with the FlameRobin database client. This tool can be used to inspect and maintain Firebird databases. 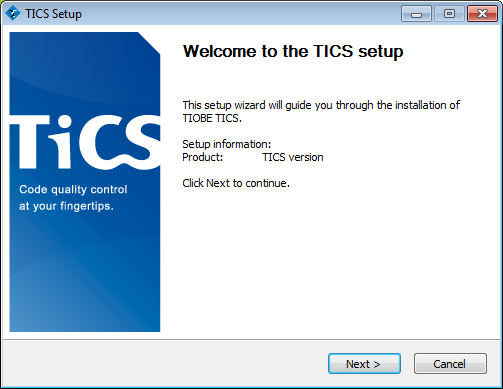 Double click on the TICS setup executable (which was stored in a previous step). When asked whether you are sure you want to run this software, choose "Run" (Windows XP) or "Yes" (Windows Vista/7). Choose "Multi Server" in the combobox and make sure only "FlameRobin" is checked. 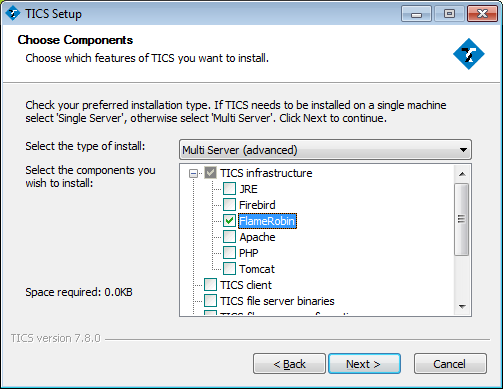 The TICS installer downloads additional components from the internet during installation. If your computer has an active internet connection, you can skip this paragraph. You have to make these components available to the installer. You can download the mentioned components from the manual directory. If the installer cannot connect to the internet it will ask you to "Retry" or "Cancel". Click "Cancel". 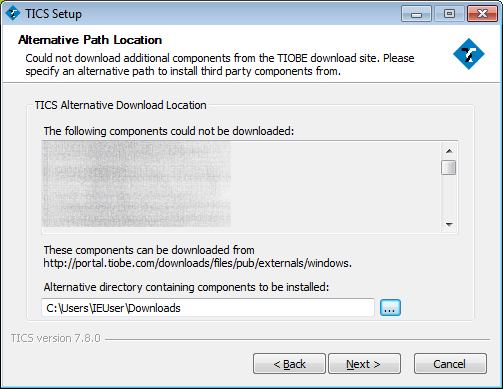 Please provide the location where where the installer can find these prerequisities, e.g. "C:\Downloads". Click "Next >". Note that you cannot choose the destination location. Click "Install" to install Flamerobin. 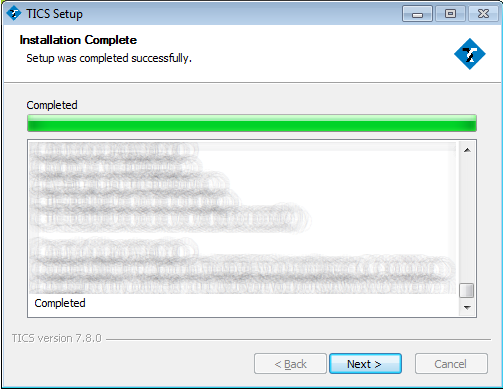 Click "Next >" once the installation is completed. Click "Finish" to close the installer. The FlameRobin installation is complete.